Don't Miss this PPC Crash Course! What do we want? Leads! When do we want them? Now! We hear you loud and clear. We know that your business is built upon leads, and our goal is to help you get them. At Dakno, we employ a number of tools and strategies (represented by acronyms) to help you generate leads, like SEO, PPC, and our CRM. PPC stands for pay-per-click. It’s just as it sounds – you only pay when a user clicks on one of your ads. This allows us to buy traffic rather than earning it through SEO (search engine optimization). PPC encompasses advertising on several digital platforms, most commonly Google, Facebook, Instagram, and Bing. Google Adwords is the most popular, and my personal favorite, so I’m going to use that one as the reference. I’m sorry! But before we get into the nitty-gritty, there are some fundamental terms you should know. There are 3 main components of a PPC campaign: keywords, ads, and landing pages. First, we will choose a list of keywords that you want to advertise for, like “Raleigh homes for sale”. 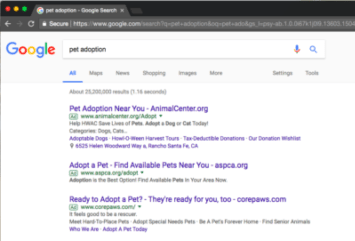 Then, when someone searches for that phrase, Google will show an ad for your website. Once the user clicks on your ad, they will be driven to a relevant landing page. 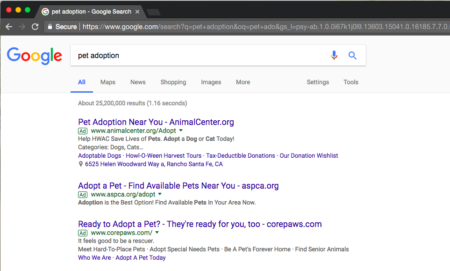 ICYMI (in case you missed it), you pay-per-click so each time your ad is clicked, Google will deduct a fee, known as a bid, from your monthly budget. There are several factors to consider when choosing a monthly click budget. First, how many leads do you hope to generate each month? Once we have an understanding of your expectations, we can perform keyword research to determine a budget that will be most effective. Also, the cost of keywords varies depending on the level of competition in your area. Keywords in metro areas, for example, will be more expensive. BTW (by the way), Dakno charges a monthly management fee of 18%, in addition to your click budget, to have an intelligent, attractive, and humble PPC specialist maintain and optimize your campaigns. I know Facebook ads are getting a lot of hype at the moment but, TBH (to be honest), I prefer Google Adwords, especially for real estate. With Google, the potential lead is actively searching for homes for sale in your area. Facebook, on the other hand, uses targeting based on profile information to show ads to users who may be looking to buy a house. Which sounds like the more qualified lead? Ready to get started? Don’t hesitate to HMU (hit me up). Reach out to your marketing specialist or a member of our sales team for more information. THX!